Technology did me in again at the airport in Nashville today. I was starting to draft the blast and all of a sudden it just went and there was no new information in it. I apologize for the first email tonight. 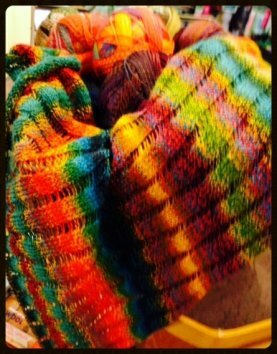 Most of our fall yarns are in the shop and on the shelves. All of our samples and models have yet to be revealed. 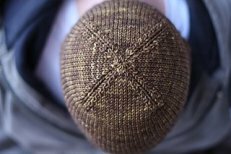 We spend months planning and knitting for our Yarn Tasting. 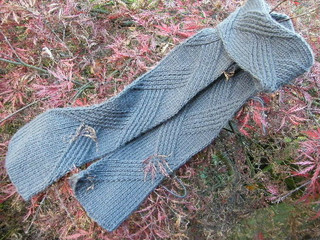 As of this afternoon I still had a design on the needles..but it is off and waiting to be blocked. We do this for YOU, our customers because we want you to feel the same thing we do each year at market. 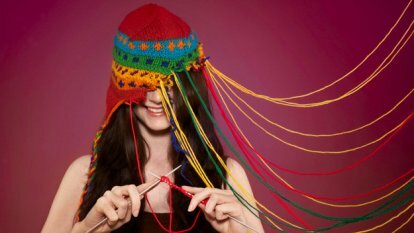 Excitement and WOW at what the knit and crochet world have to offer. So PLAN to JOIN US FRIDAY for our best "tasting" EVER. Join us this Friday between 10:00 am and 8:00 pm as we reveal NEW SAMPLES in NEW YARNS in this Fall’s Focus Projects. Once each spring and fall we hold a Yarn Tasting. 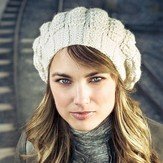 We will reveal between 15 & 20 Focus Projects showcasing this season’s yarns which will be available at a 20% discount on Friday ONLY. ALL the FOCUS PROJECTS ARE NEW! 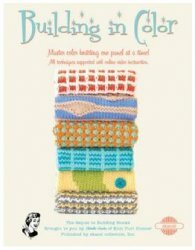 Yarn and pattern or book to make each Focus Project will be available. 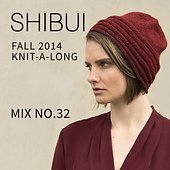 Projects include accessories and garments. 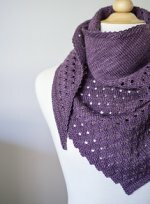 Projects range from 1 skein to multiple. 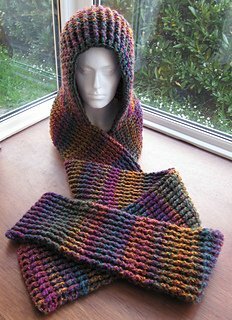 Focus Projects include base fibers and exotics and all are wonderful knits. 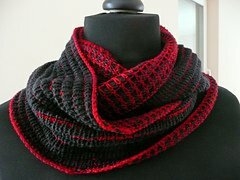 I have a new design as well which is fun and will look great with leggings. 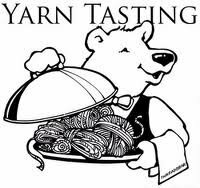 Our Yarn Tasting includes refreshments and a chance to win door prizes. 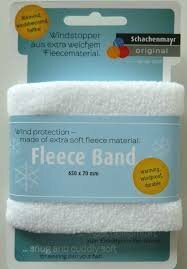 We are giving away 3 gift cards and a fabulous needle felted jacket. Earn more chances to win with each $25 purchase. 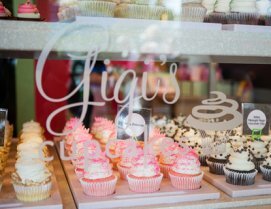 I will also have my favorite Gigi’s cupcakes on hand in the afternoon. 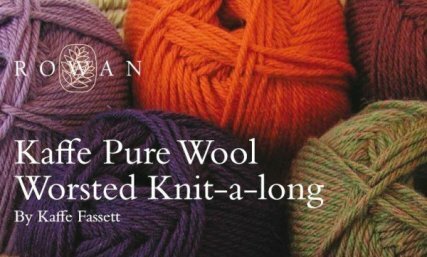 "High-energy twist leads to a folksy texture of lush baby alpaca and cozy merino in a grand hank for an extraordinary experience." 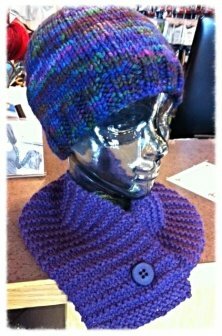 These 150-gram, worsted weight hanks have 218 yards to work with, all in gorgeous solid colors. 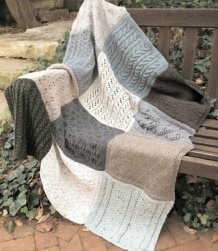 Blue Sky has created 6 great patterns to support their new yarn. 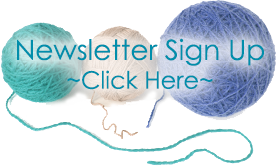 Check the web tomorrow for yarn & pattern updates. Zauberball has been restocked. 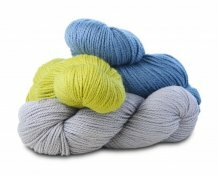 This is your chance to grab a skein and knit the Teraforma. 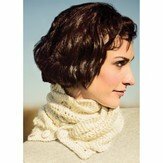 It only takes one skein and it makes a great accessory which is perfect for holiday gift giving. 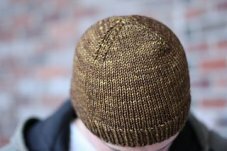 Rowan Pure Wool Worsted has been restocked just in time for the FREE KAFFE Knit-Along with Deb which starts tomorrow, October 1 @ 6 pm at the shop. Sandy is working on GumDrop from Annie @ JumperCablesKnitting in the new Shibui Maai. 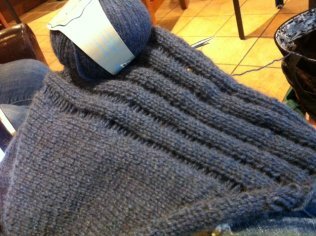 Angel is knitting “Neato” in Zealana Rimu – such a luxurious knit. 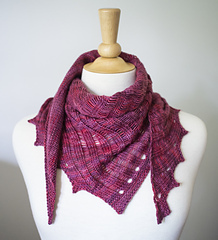 Jane Slicer-Smith is teaching at Stitches and then coming to Amazing Threads, October 18 & 19. 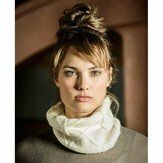 Her 2014 designs are fabulous and I can’t wait to get my hands on one of her new patterns and some great Merino 6 or 8 from Trendsetter. 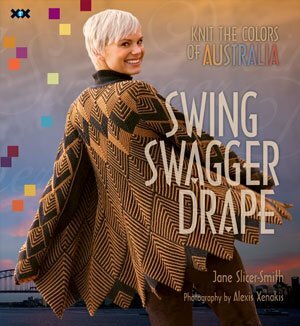 Barry is making the yarns available to support Jane’s new designs at the shop that weekend and this is your opportunity to meet Jane and hear her design tips and tricks. I know it’s MEA weekend but Jane has not been here in years and she is FABULOUS and OH SO FUN to listen to, too. I already ordered the yarn to knit her fabulous COAT. I am changing the registration costs to encourage you to spend the entire day with Jane. Jane comes to the US only once every couple of years. 1 class = $65 - Register for 2 classes in 1 day for $100 – That’s $50 per class and includes instruction, breaks, and lunch. 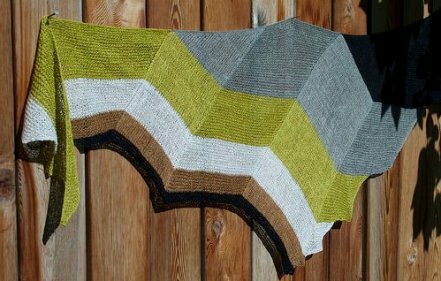 Join Jane for 2 texture knitting classes on Saturday (Cables & Zig Zags, Bobbles & Bells), Mitres and Simple Intarsia Sunday. Jane will also be available for consultations.Download the PDF here! The more classes you attend the better. Take 1 @ $65, 2 on one day @$100 FOR 2; 3 @ $175 & 4 @ $200. Call the shop to register. 2 New FREE KALs have been added to start this week in October. Join Sandy for the Free HELP DESK Sunday October 12 & 26 from 12-2 pm if you have questions or need help on projects purchased at Amazing Threads. 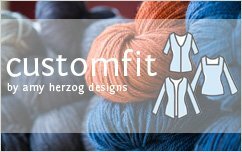 We launch our CustomFit Concept again this month. Join us on Sunday, September 21 from 12-2 pm. Join us to learn all about Custom Fit. 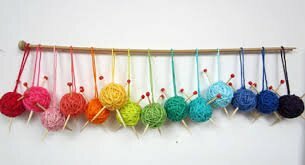 SEE YOU ALL ON FRIDAY FOR THE BEST YARN DAY EVER!